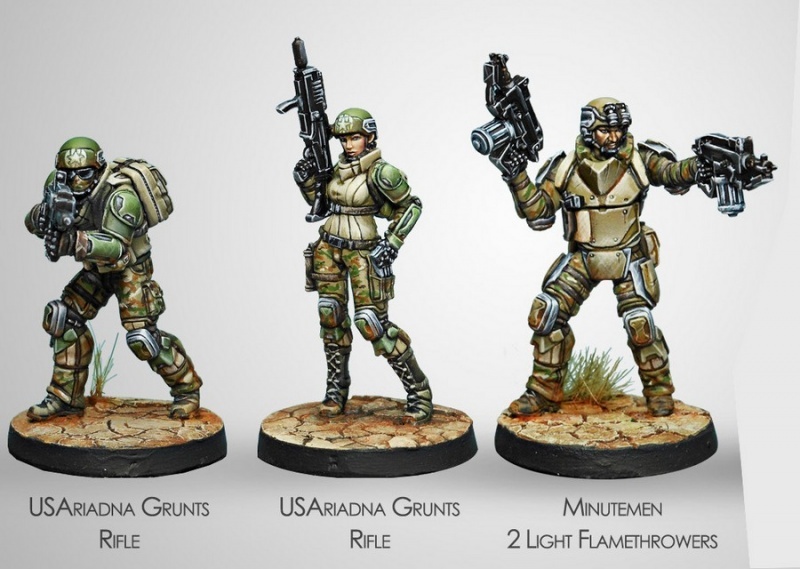 Heavy infantry assault regiment from the USAriadnian colonies. The 5th regiment of Armoured Rangers received the designation of Minutemen as a patriotic reference to the War of Independence militias. It also reflects their similitude with the former ballistic missiles of the USA: big, strong, and of course, explosive. 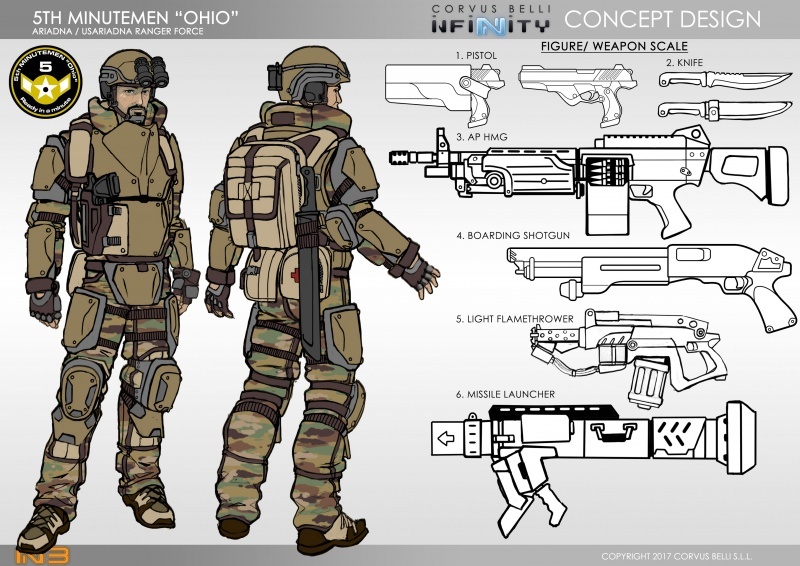 The Minutemen are the best organized and experienced combat regiment of the USAriadnian military force. They are a little elite shock force characterized by their great mobility and capacity for rapid regrouping. 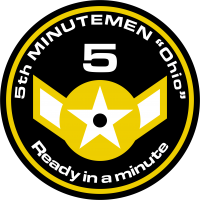 The structure of the 5th Minutemen harks back to the former Delta Teams, with specialists in different techniques and military skills. The Minutemen have played a crucial role not only in the Separatist Wars, but also in the previous conflicts, and later with the Antipodes and the Ariadnian Commercial Conflicts.